1996-1997. The 3D acceleration era gets underway, online gaming is born, the mod scene grows and console shooting hits gold. The second part of Kristan’s epic retrospective. By the middle of the 1990s, the first person shooter genre had given rise to a full-scale gaming revolution. With fluid 3D engines inspiring developers to stunning feats of innovation, the genre helped spark off a software and hardware race that continues to this day. Suddenly, not only were companies like 3D Realms, Epic, LucasArts, and Bungie joining id in the race to produce the next blockbuster First Person Shooter, but were doing so using their own proprietary in-house engines, built from the ground up. 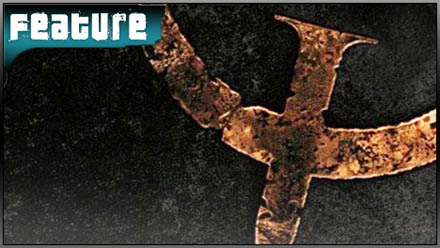 Although this was a time-consuming process, the payback was that it gave their games a unique look and feel, and helped pushed the genre forward in significant ways. Displease the Duke at your peril, beastie. 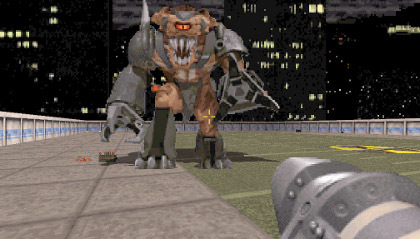 Building on the progress made by the likes of Dark Forces and Marathon, one of the most significant post-Doom releases was undoubtedly 3D Realms’ Duke Nukem 3D. Released to blanket acclaim at the start of 1996, this tongue-in-cheek action romp starred the cigar-chomping muscle-bound action hero to end them all. Featuring a thrilling procession of set pieces and memorable moments, DN3D was another leap forward for FPS level design. As tended to be the case back in the early days, it was a game chock-full of secrets, encouraging gamers to explore every last inch, whether underwater or soaring high via jet pack. The Duke on Xbox Live. Shake 'em, baby. Perhaps equally significant was its emphasis on multiplayer fun, with the ability to hook up over a LAN, or, more commonly via dial-up modem if you had both the kit and the patience. The relative non-linearity of the level design ensured it was a lot of fun in a ‘Dukematch’ – especially for players who knew the game’s secrets inside out. Sadly, with online gaming still in its infancy, few got to enjoy Duke 3D online until it eventually arrived on Xbox Live Arcade more than a decade later. 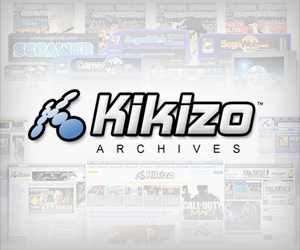 Posted in Features, FPS Gamer, and tagged with Duke Nukem 3D, educational, fps, GoldenEye, history, Quake.